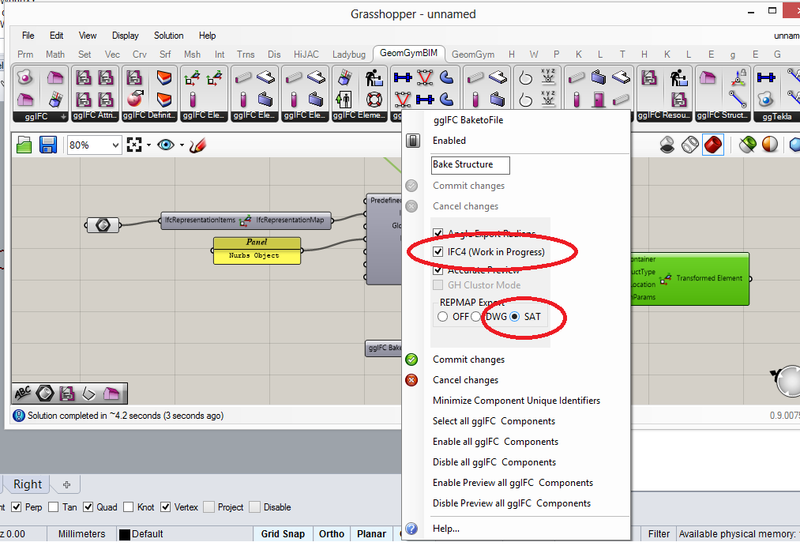 Here's a stunning success of the Grasshopper to Analysis/BIM workflows with the assistance of the Geometry Gym tools. John Noel of Irwin Consult in Melbourne emailed me earlier today with some images of a stunning feature recently added to the Melbourne Shrine of Remembrance. Here's some images by John Gollings which are featured on the Irwin website and this article. I look forward to visiting this in my pending return to Victoria. You can read more about the details of this project at the ARM Architecture website and Irwin Consult website. Grasshopper, GSA and Revit were involved in the design and documentation of this stunning feature. Congratulations to all involved. If you've work that's published/built and it involved the Geometry Gym tools, please let me know and I will be glad to promote it on the blog. It's an honour to have the work I've done as an early adopter of IFC4 recognized by Building Smart International. With the library of c# code that I have for importing and exporting IFC4, I've been working on a project for Building Smart to generate sample IFC4 files. These are small unit tests that highlight a particular aspect (or comparison) of the schema, concentrating on new features and aspects of IFC4. This includes shape representations such as nurbs and triangulated face sets, cardinal points, reinforcing and new standard case classes. Now that the bulk of the project has been set, it should be easy to add many more. Here's an introduction to the project. What's nice with the scripting approach to generating the examples is that examples can be kept in a consistent style, with common changes swept through them. The scripts can also be built across different schema (including IFC2x3, IFC4 and IFC4 addendum 1) although I still need to enable some exceptions to be thrown when invalid classes are called on. It's been a good opportunity to polish my library as an API, and it also serves as some good examples of how to use my c# library as an API. If you'd like to get involved or test this, please don't hesitate to contact me. And if you have more requests/suggestions for further examples, then do let Building Smart or myself know. 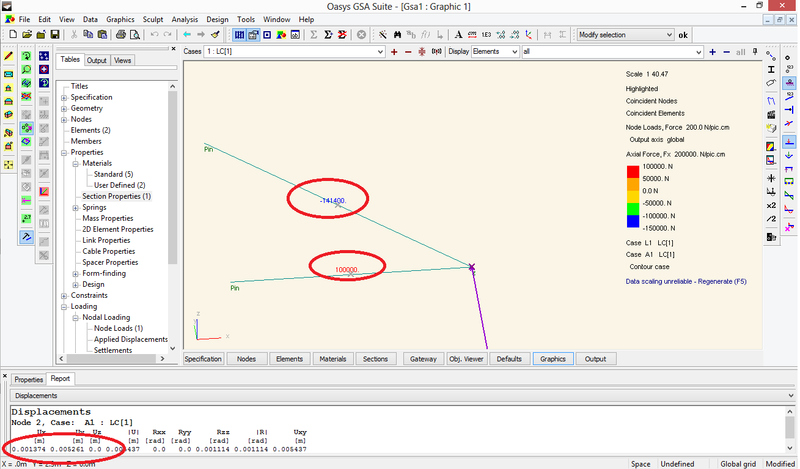 I've advanced on the first version of the Karamba exporter, and been testing it with Oasys GSA and Autodesk Robot (which were the most popular early requests). If you'd like to test this with other software, let me know. Here's an explanation and demonstration. And here's some Karamba files to test it on. I'm still to implement releases and other attributes, but if you need them please let me know and I'll prioritize the development of them. 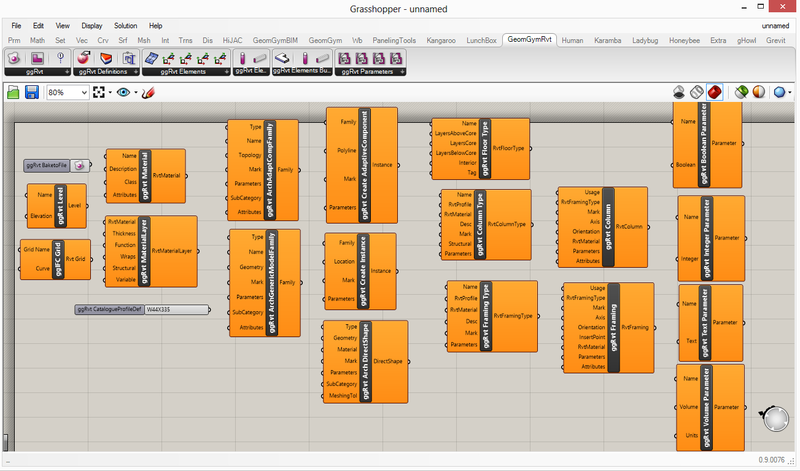 I'm seeking out Karamba users (and potential users) for a new workflow for this grasshopper plugin. 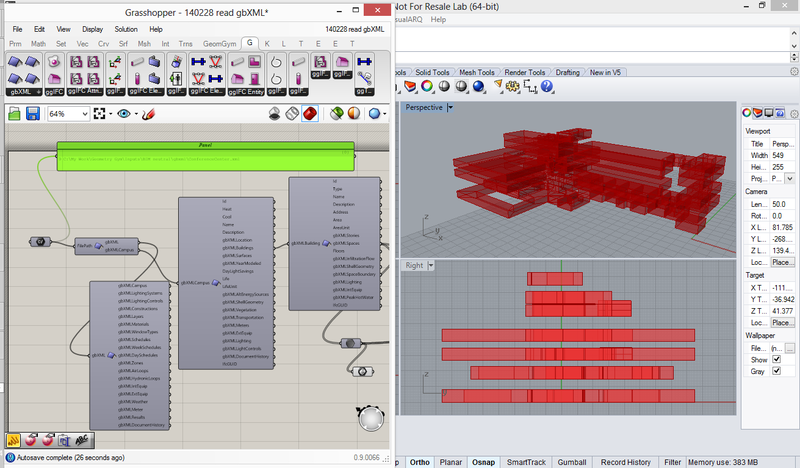 For anyone that doesn't know Karamba, it's a structural analysis plugin for Grasshopper. 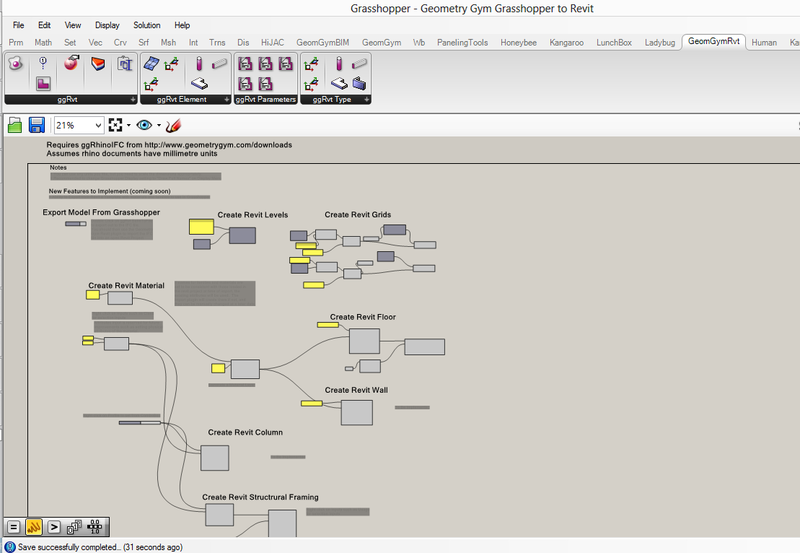 GeometryGym has developed various plugins to allow generation of structural analysis data within Grasshopper, but then has the overhead of having to export the data out of Grasshopper to the external software, and then import back the results. Karamba works as a solver entirely within Grasshopper, and should perform faster as a result. But more traditional software has advantages of being proven and trusted, and often project requirements mandate particular software or certifications for detailed design. 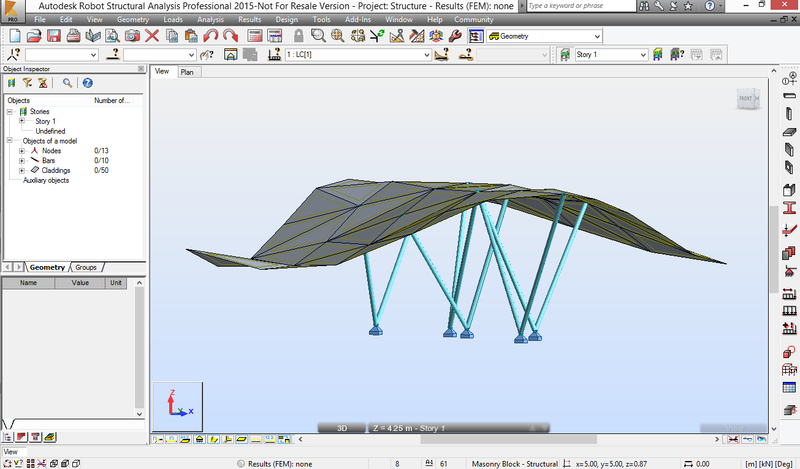 At present, many users are generating the Karamba model for preliminary design, but then rebuilding the model using Geometry Gym equivalent components to export the model out for refined analysis or advanced assessment. I've been discussing with the Karamba developer Clemens (and advancing on) a utility to extract the Karamba Structural Analysis model so that it could be verified or advanced in alternative commercial structural analysis software. I know that Karamba can presently export to RSTAB, but I'm working on enabling this further for a wider range of software. The exporter for Karamba would save users on generating, maintaining and coordinating multiple components if desired to use the data downstream. 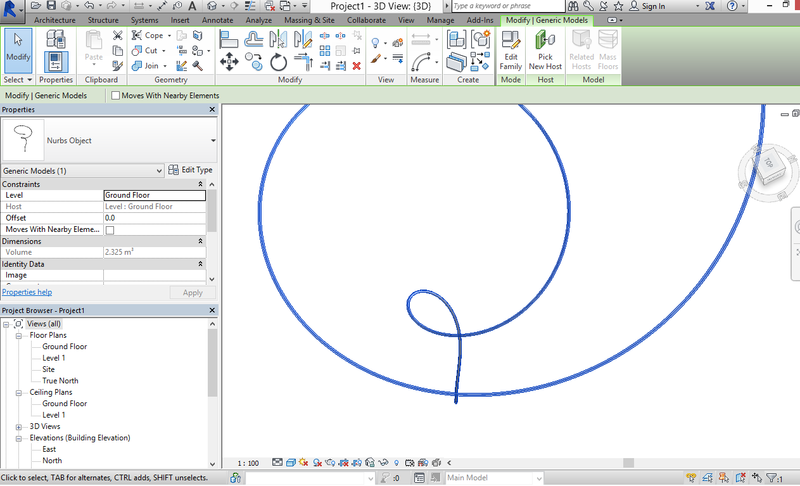 This would permit verification of the model results, and often projects have mandates on using specific (often certified) software for detailed design calculations. If you're interested in participating in the early testing and advancing of this feature, please get in touch. Also refer to this forum post for discussion and details. I was very fortunate last week to be able to attend the McNeel event for Rhino Resellers and Developers. It was an amazing event and fantastic to be able to meet in person so many of the Rhino3d community in person for the first time. It was also great to see many others that I have met before again. I'd like to publically thank McNeel Europe for arranging such a wonderful meeting, and can only hope it happens again in the near future. I took the opportunity during this very brief venture back to Europe to meet with a couple of clients (apologies to those that I missed) and the feedback had one common thread. 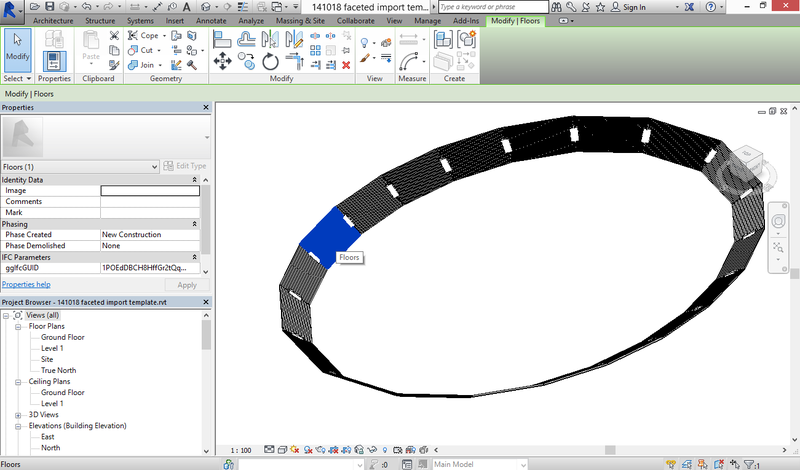 The IFC functionality for OpenBIM export from Grasshopper has great functionality, but was confusing to new (and experienced) users as to how to put together the components. 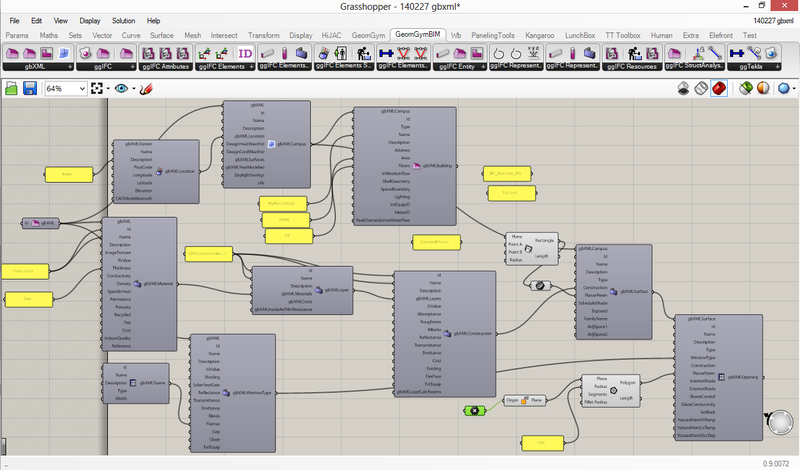 Given that the vast majority of the users are transferring Grasshopper to Revit, I've decided to develop a new front end for the plugin using Revit phrases, terms, conventions and relationships. This should make it a lot more intuitive for new and experienced users alike. In the back, it's still doing the same as the existing components. 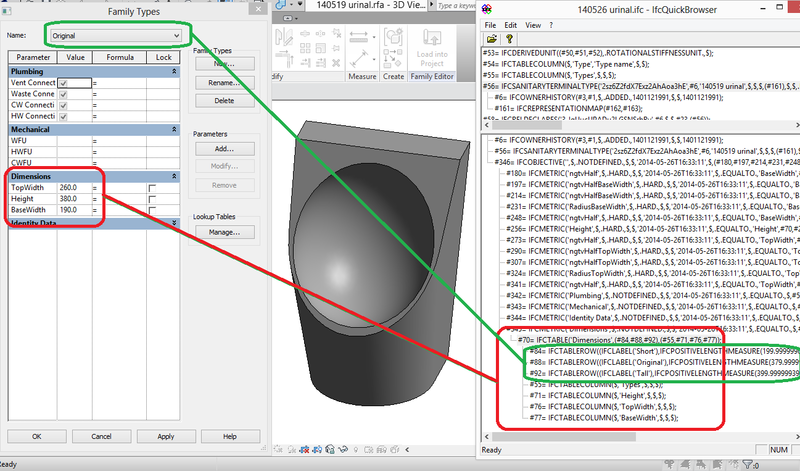 It's just I can condense 2 or 3 IFC components into 1 specific revit version, and a lot of the "optional" or additional features of IFC that don't really relate to Revit can be masked. Here's a screen capture of the initial components I've got working in the past 3 days. A lot more should quickly follow. If you'd like to be involved in the early testing, or request particular functionality, then please get in touch. Any feedback welcome. Initially these components will be included into the existing IFC plugin, but I plan to spin it out into it's own file some time soon. It should be noted that the IFC generated can still potentially be used with other software (although I advise to use IFC4 for it's new features and this has barely been implemented by anyone). I will also consider other application specific components if there is sufficient demand. One other strong theme of the meeting was Rhino for Mac, which will be available "soon". After the session by Steve Baer about developing plugins for Rhino Mac, we sat and tested with a compiled version of the IFC importer. It loaded and the commands were available (but not quite executing with some user input not collected) but we can be confident it might be something users can start testing very "soon" (even if not officially supported initially). 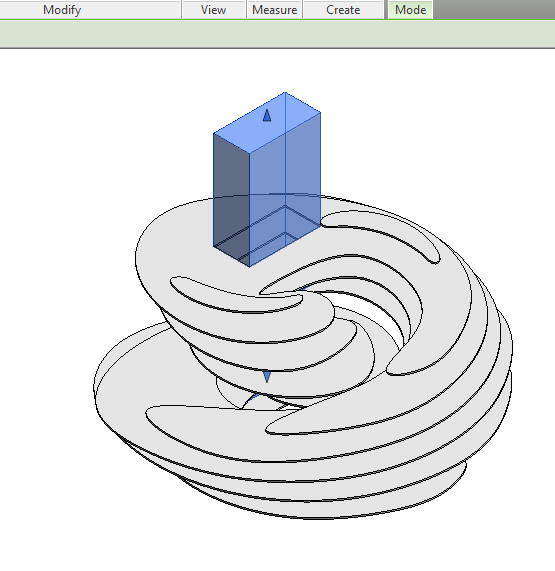 I was reminded by a user request today of a feature I added to the Grasshopper IFC plugin to generate shaft openings in Revit. Note this is one of the few areas where IFC doesn't really define an equivalent to Revit, where an opening can cut any object that intersects it's location. So the IFC this generates is not compliant with the schema, and won't be recognized by any other IFC software other than my revit importer. Here's a sample file and image to demonstrate the use of it.